Several studies have addressed the utility of cerebrospinal (CSF) α-synuclein levels as a potential biomarker of α-synuclein aggregation disorders. However, its relevance in the differential diagnostic context of neurodegenerative and movement disorders is still a contentious subject. 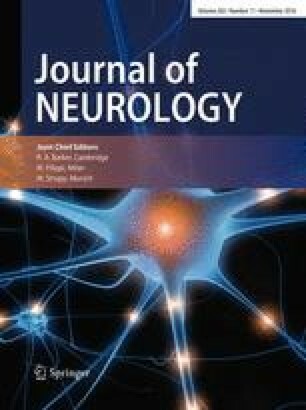 Here, we report total CSF α-synuclein levels in a cohort of clinically diagnosed α-synuclein-related disorders encompassing Parkinson’s disease, Parkinson’s disease dementia, dementia with Lewy bodies and multiple system atrophy in comparison to essential tremor and neurological control cases. α-synuclein levels in α-synuclein-related disorders were significantly lower than in controls (p < 0.001). However, in the differential diagnostic context, only Parkinson’s disease cases presented significant lower α-synuclein levels compared to essential tremor and neurological controls. In cases with clinically diagnosed α-synuclein pathology, CSF α-synuclein levels showed a moderate positive correlation with CSF tau and p-tau, but not with Aβ42 levels. Due to elevated CSF tau levels in dementia with Lewy bodies samples, tau/α-synuclein ratio showed a good clinical accuracy in discriminating controls from dementia with Lewy bodies cases (AUC = 0.8776) compared to single α-synuclein (AUC = 0.7192) and tau (AUC = 0.7739) levels. In conclusion, α-synuclein alone lacks of clinical value as a biomarker of α-synuclein-related disorders, but in combination with total tau, it may improve the diagnosis of dementia with Lewy bodies. F. Llorens, M. Schmitz and D. Varges equally contributed. The work was supported by the JPND Neurodegenerative Disease Research grant: DEMTEST: Biomarker based diagnosis of rapidly progressive dementias-optimization of diagnostic protocols, 01ED1201A, by the Alzheimer-Forschungs-Initiative e.V. (AFI 12851) and by the DZNE-MiGAP study. This study was conducted in compliance with the ethical standards.